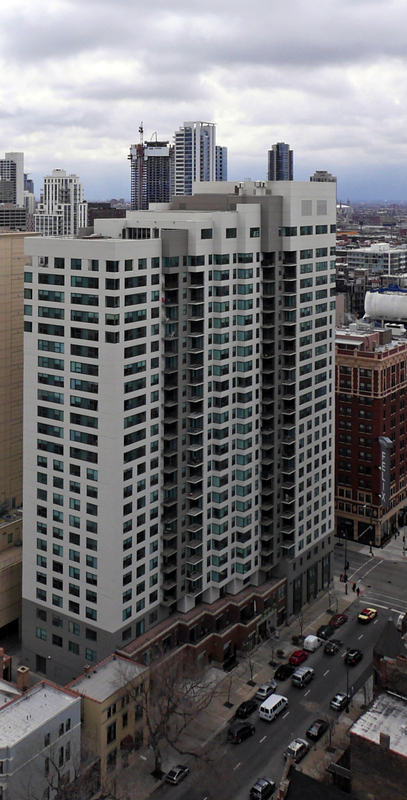 west77, 77 W Huron St, is a 25-story, 304-unit luxury apartment tower in Chicago’s River North neighborhood. 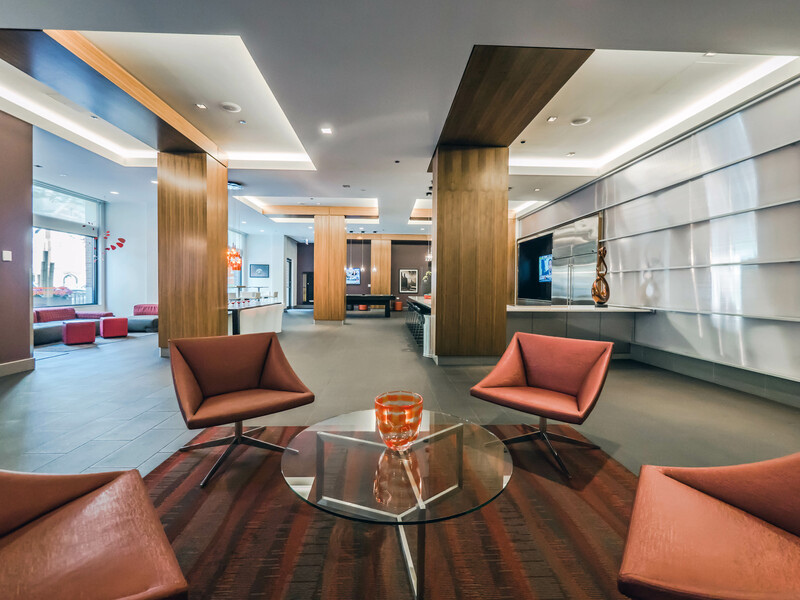 The building was completed in 1988, and was operated for years as furnished corporate suites. 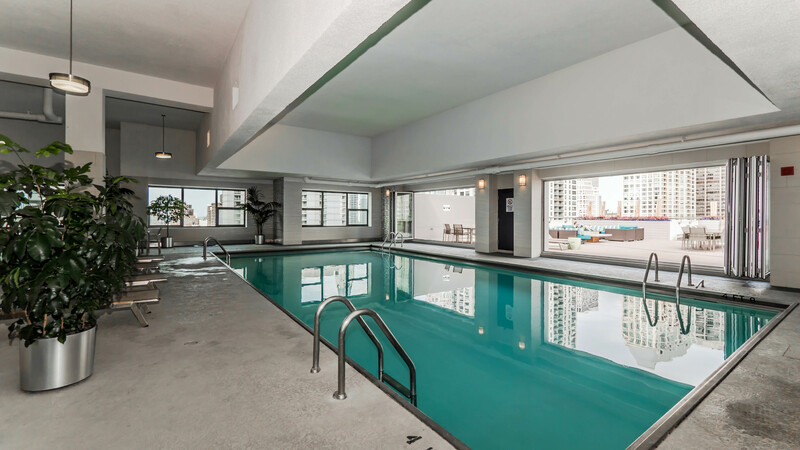 It has since transitioned to residential apartments and has undergone an extensive interior and exterior renovation. 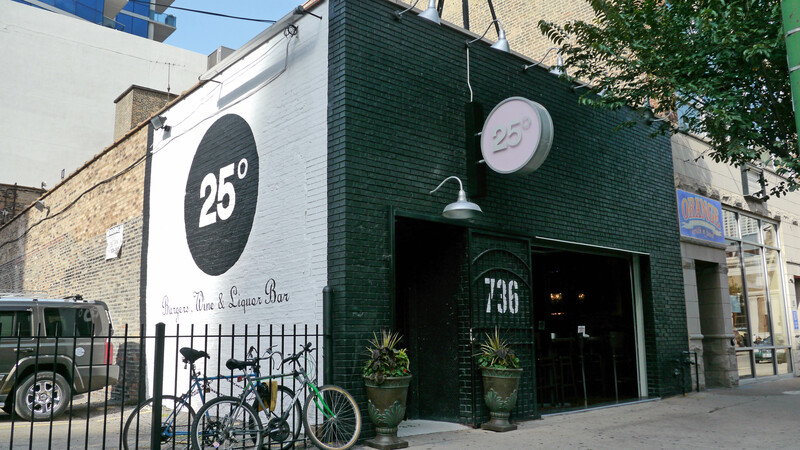 west77’s unusual configuration rises in height on an east – west axis. The façade recesses from west to east on the north side and from east to west on the south. Sheldon Baskin and Daniel Epstein were the developers of west77. Metz Train & Youngren was the architecture firm, and E.W. 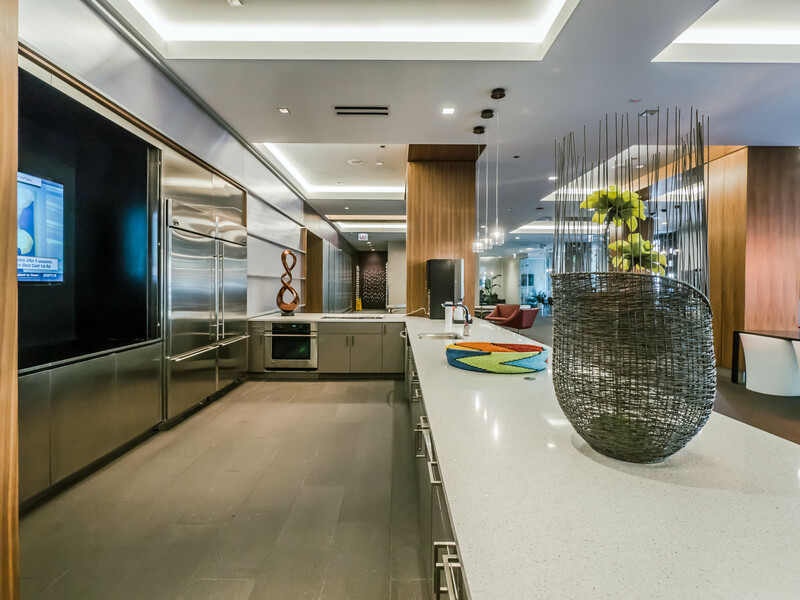 Corrigan Construction was the general contractor. 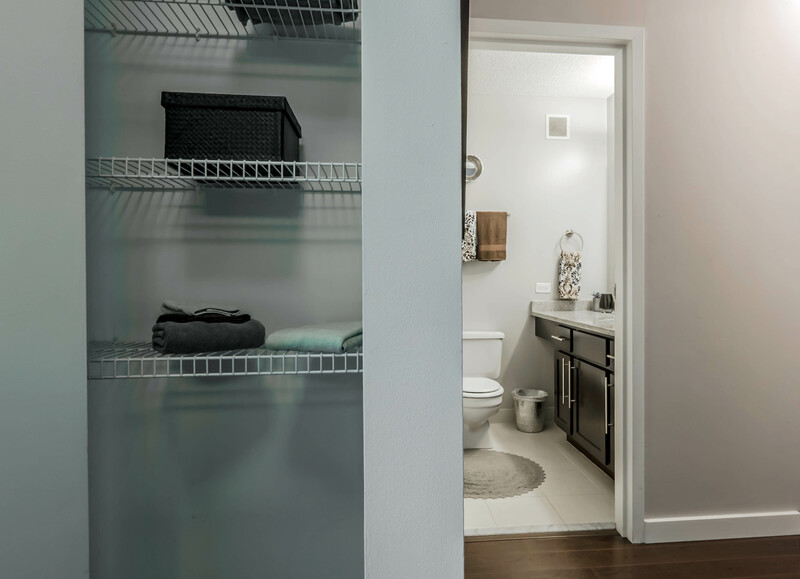 west77’s 384 apartments include 15 different studio, convertible, 1- and 2-bedroom floor plans. 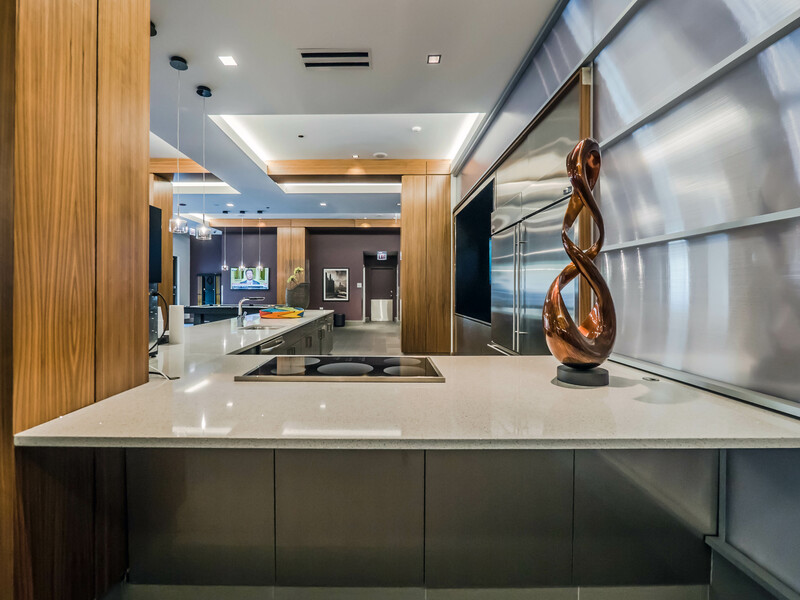 There are also several duplex and penthouse units. 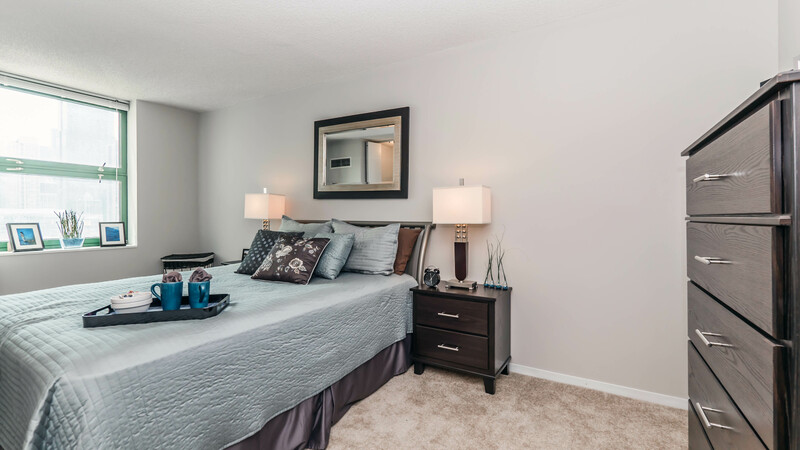 The apartments are typically larger than what you’ll find in new construction. 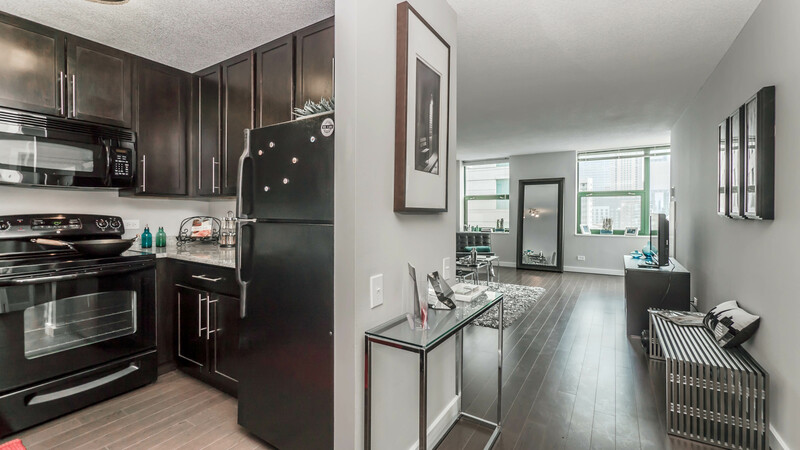 Floor plans and a near real-time rent and availability check are accessible online. 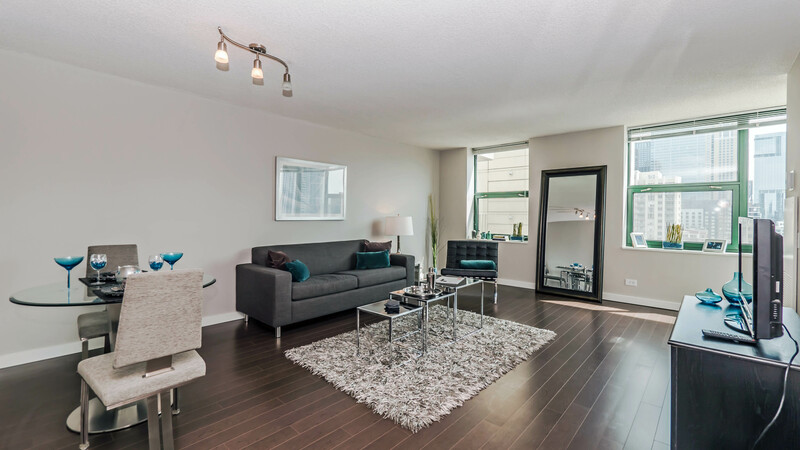 The apartments have been updated with wood-look laminate flooring. 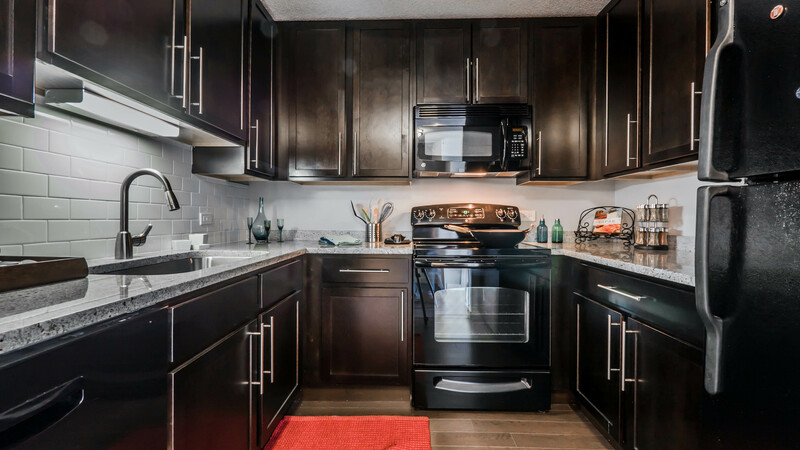 All-electric kitchens have granite countertops, under-mount sinks, glass tile backsplashes, 42-inch upper cabinets, ample cabinet and counter space and a full appliance package that includes a dishwasher and built-in microwave. 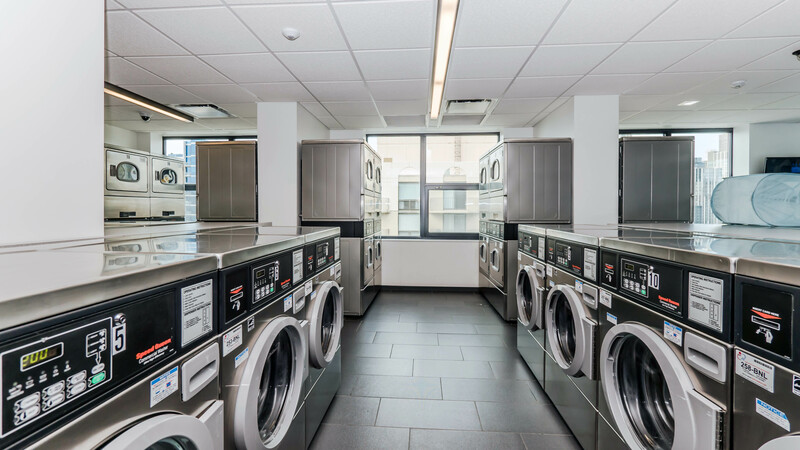 In-unit washer / dryers are available in 2-bedroom apartments. The apartments have good closet space. 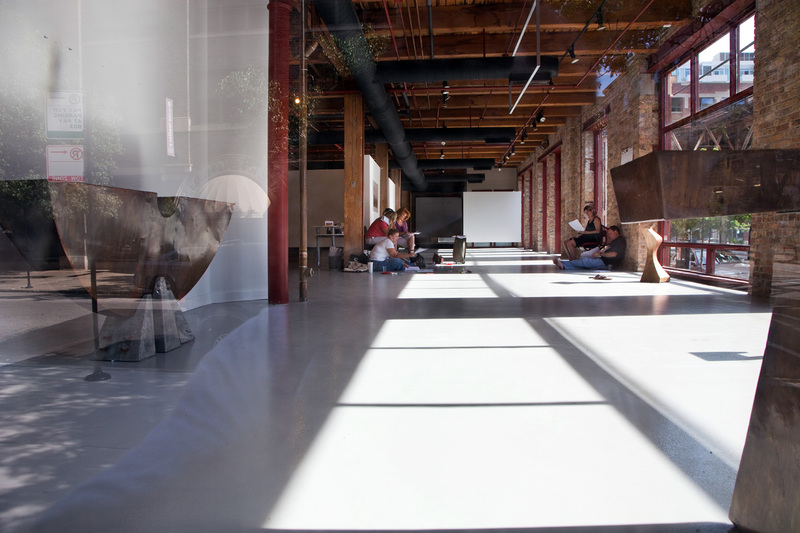 The studio floor plans all have balconies, which is unusual. Two of the six 1-bedroom plans and all four 2-bedroom plans lack balconies. Window sizes vary widely, as is evident from the exterior. 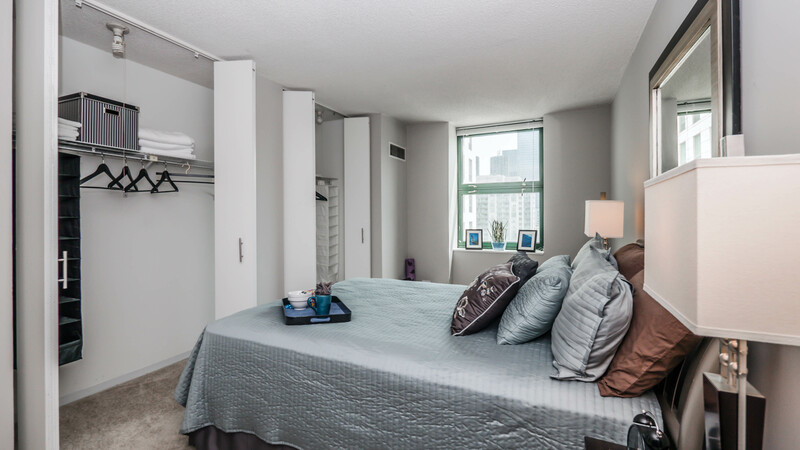 Short-term furnished apartments are available from Manilow Suites and Oakwood. Views. 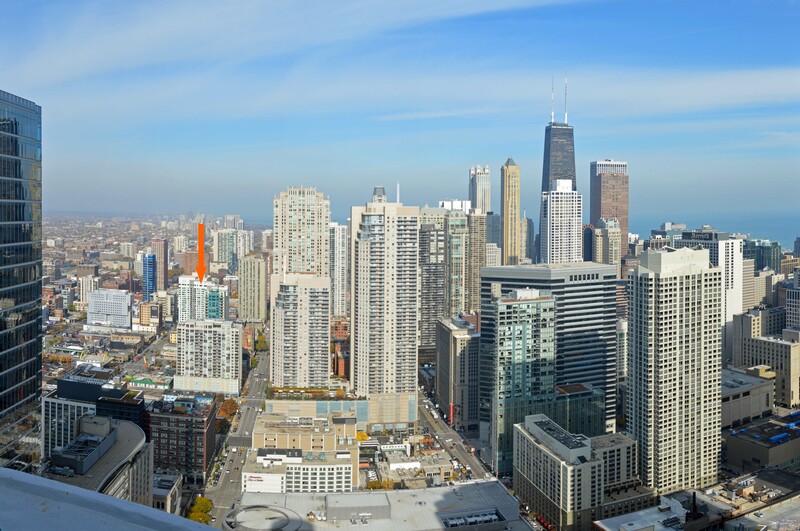 Many of the higher-floor units have largely uninterrupted views of the skyline to the south and west. 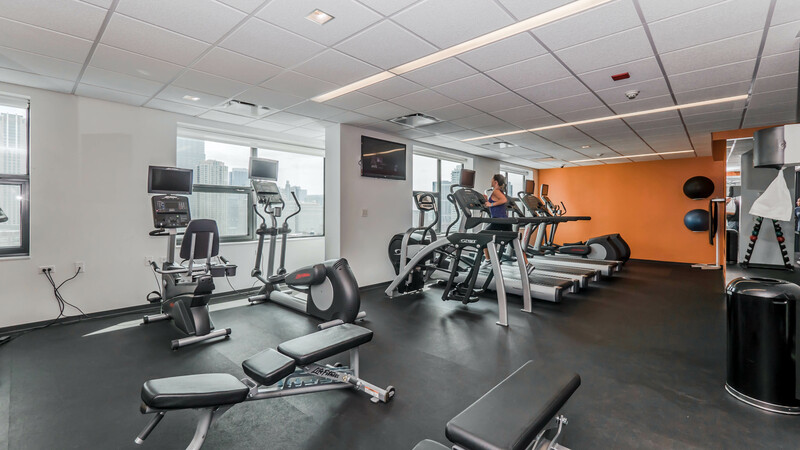 west77 has completely revamped its amenities within the past two years. The lobby has been substantially expanded. 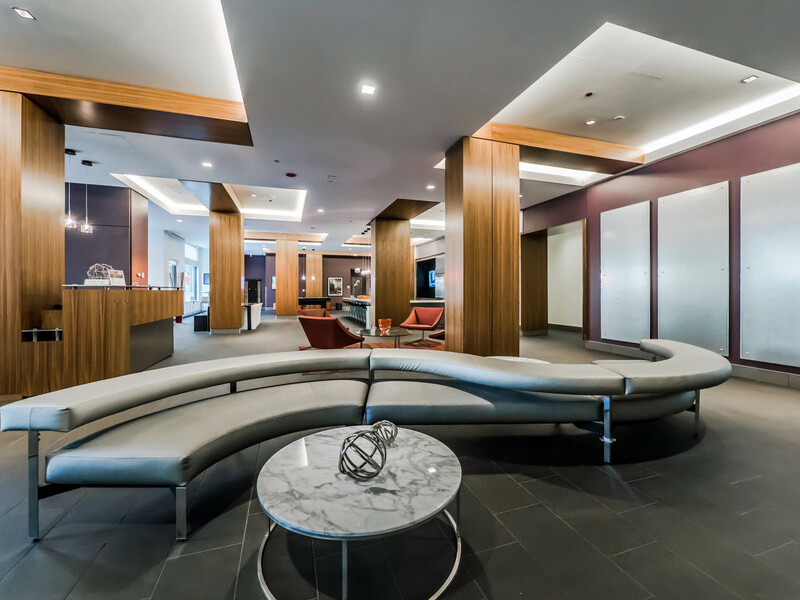 The imaginative lobby make-over supports a variety of activities. 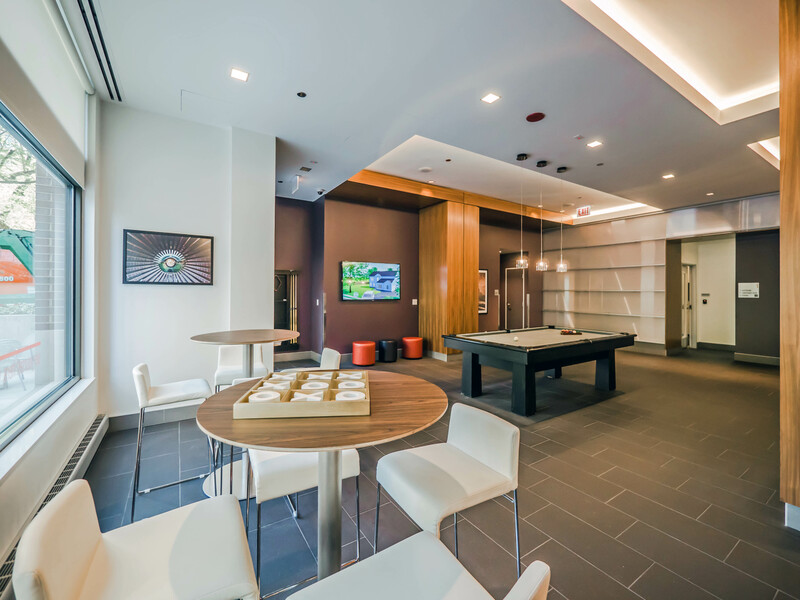 The flexible spaces can accommodate social gatherings, study groups, or just relaxing while waiting for guests to arrive. There’s a large bar that works well for hosting events. 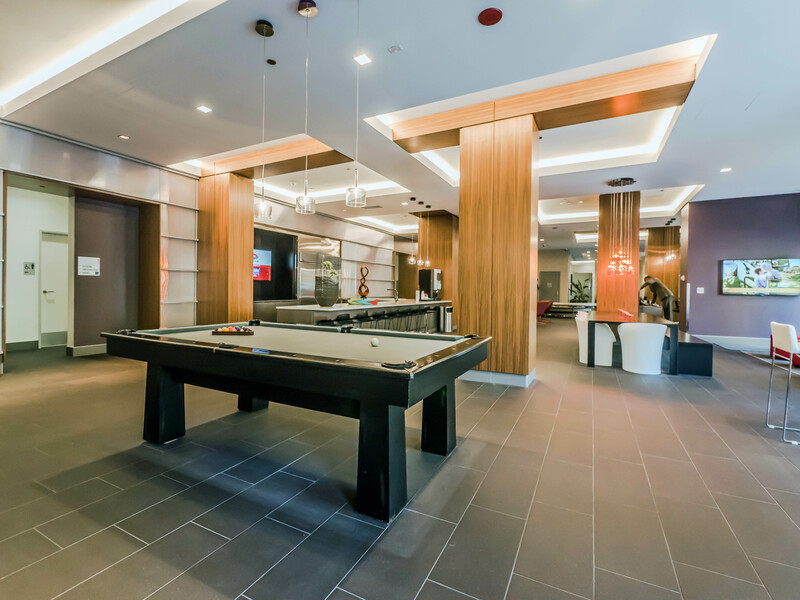 A billiards table is tucked away at the far end of the lobby. 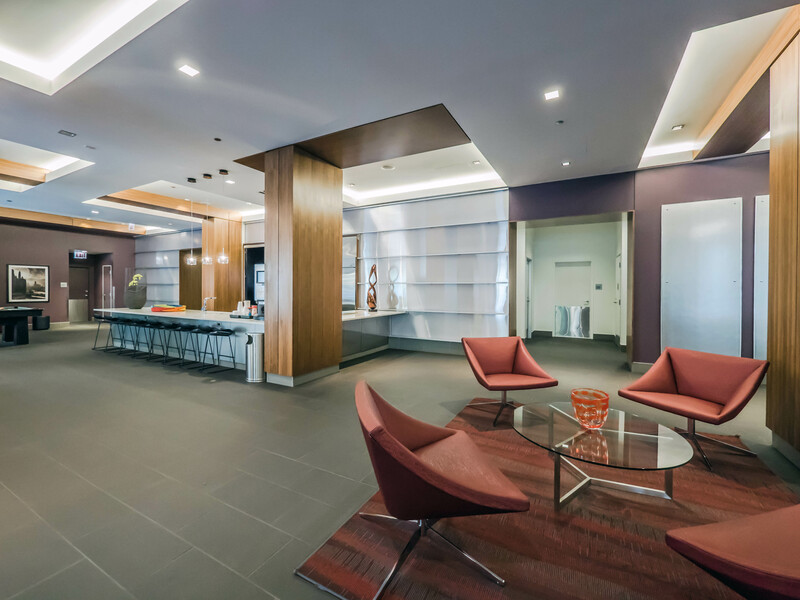 A business center and a conference room are adjacent to the lobby. 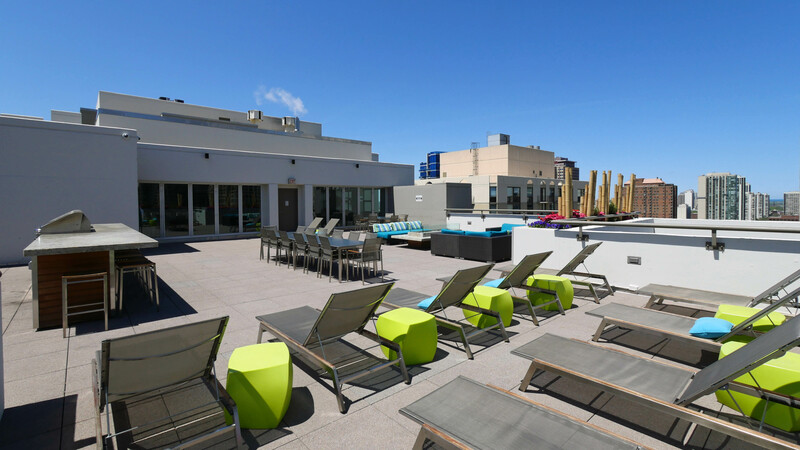 The rooftop amenities include an indoor swimming pool, a fitness room, a large party room / lounge, and a laundry room. The pool opens seasonally to an adjacent terrace. 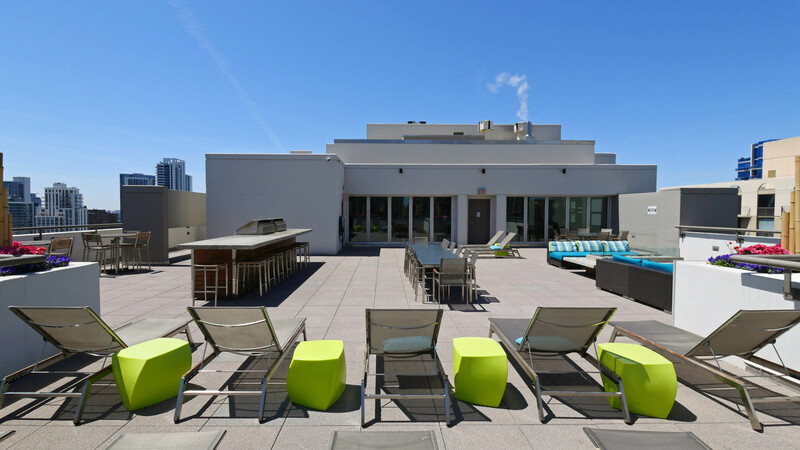 The large rooftop terrace has a fire pit and multiple seating areas. 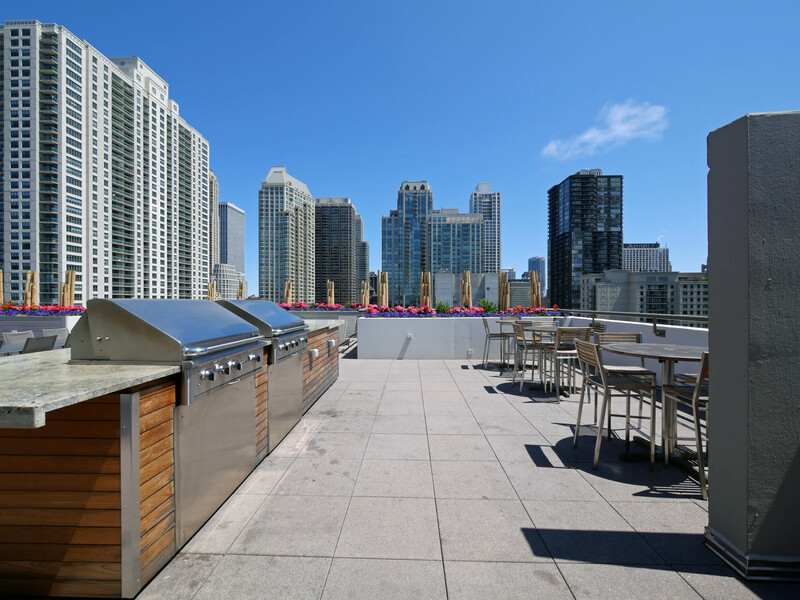 The grilling station has gas grills, bar-style seating and tables on either side. 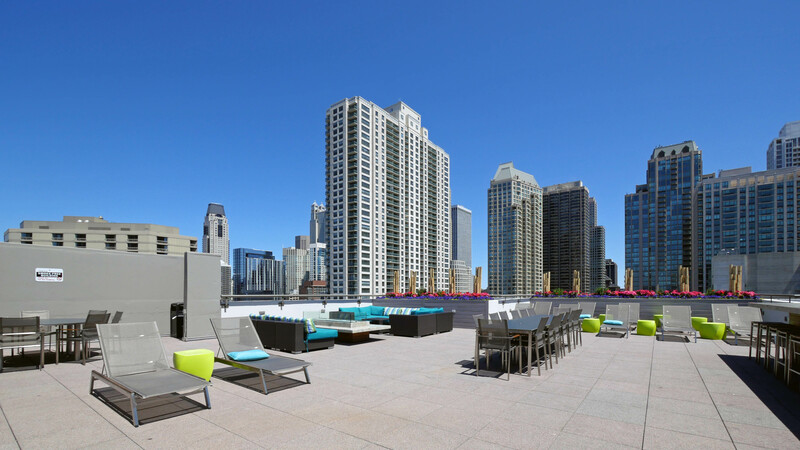 west77 rises above its southern and western neighbors, ensuring good sunlight on the terrace. 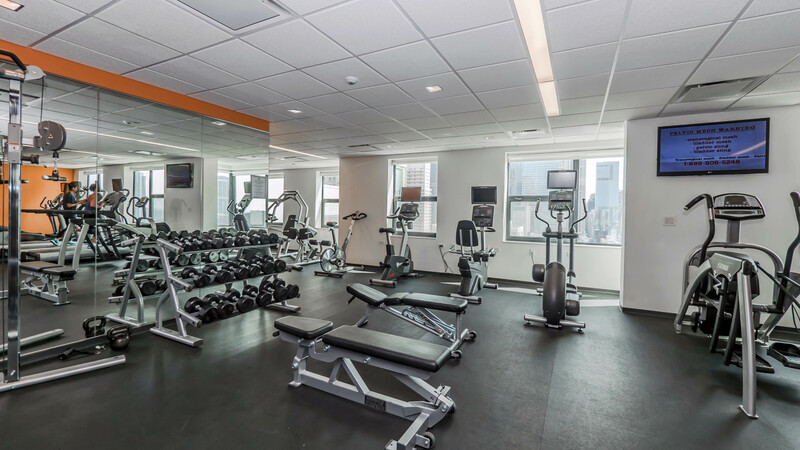 The 24-hour fitness center has cardio and strength-training equipment and views of the skyline to the south. 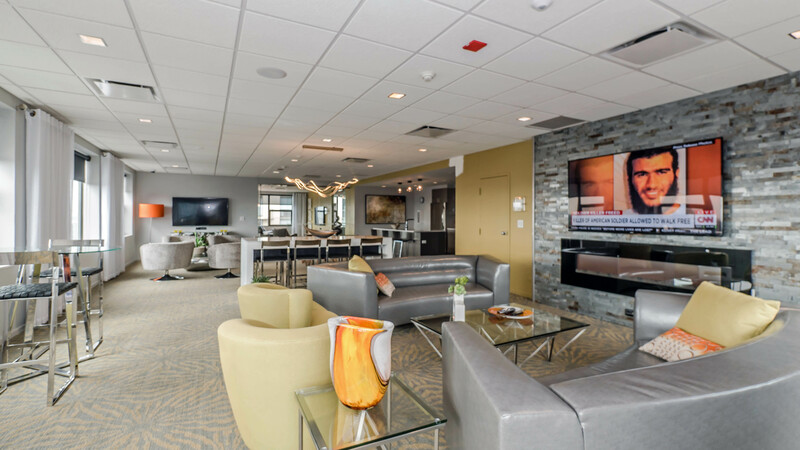 There’s a large west-facing resident lounge / party room with a catering kitchen. 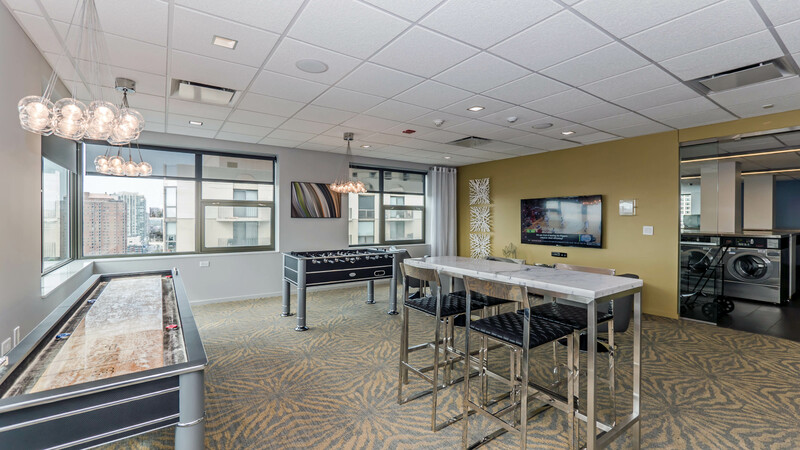 The rooftop level also has a game room / media room adjacent to the laundry. 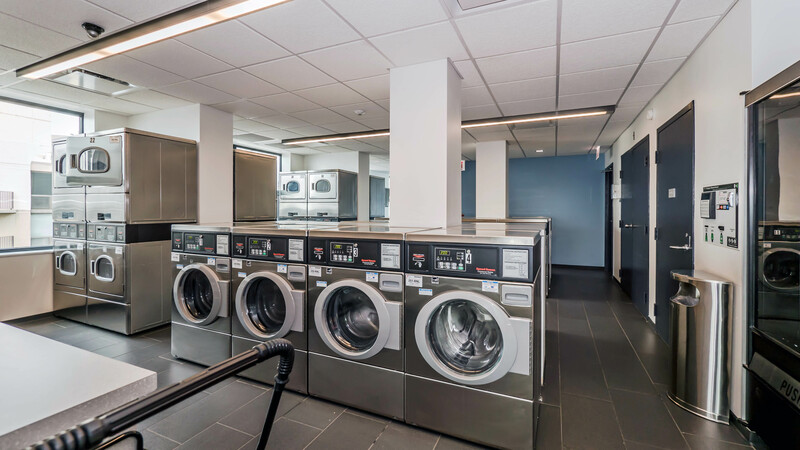 The brightly-lit laundry has card-activated equipment and a separate lounge area. Unreserved parking is an option in the attached garage. 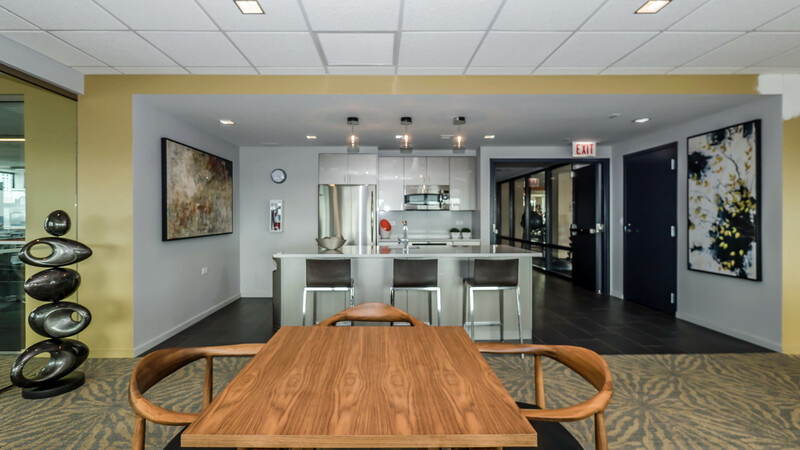 west77 has on-site management, maintenance and leasing staff, and 24/7 door staff. Cats and dogs are welcome, subject to limits. 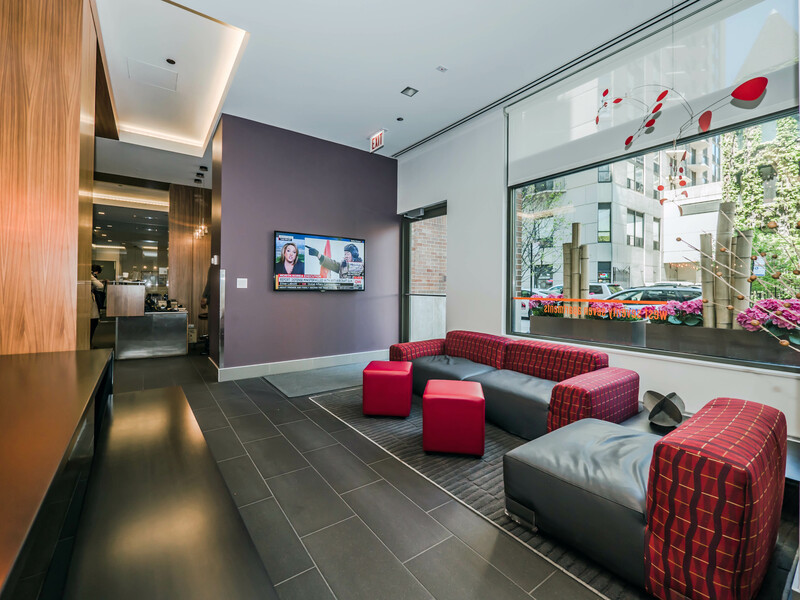 west77 has an excellent River North location with good proximity to the Gold Coast, Streeterville, and the Loop. Loyola University’s Water Tower campus, home to its law, business, education and communications schools, is a few blocks north and east of the property. 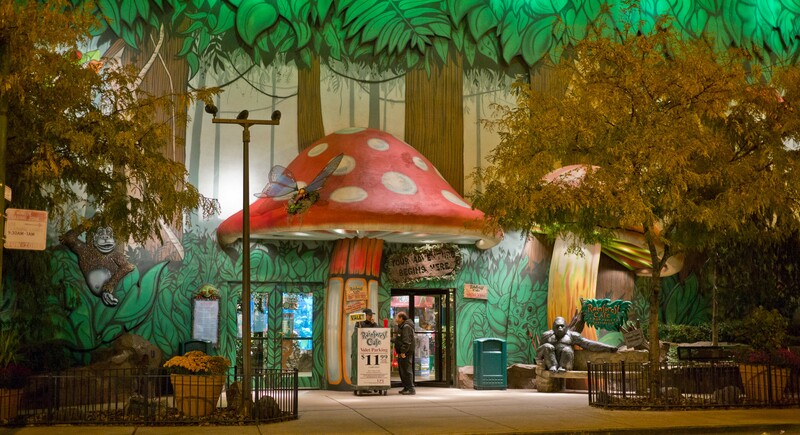 Northwestern and Lurie Children’s hospitals are a short walk further east. 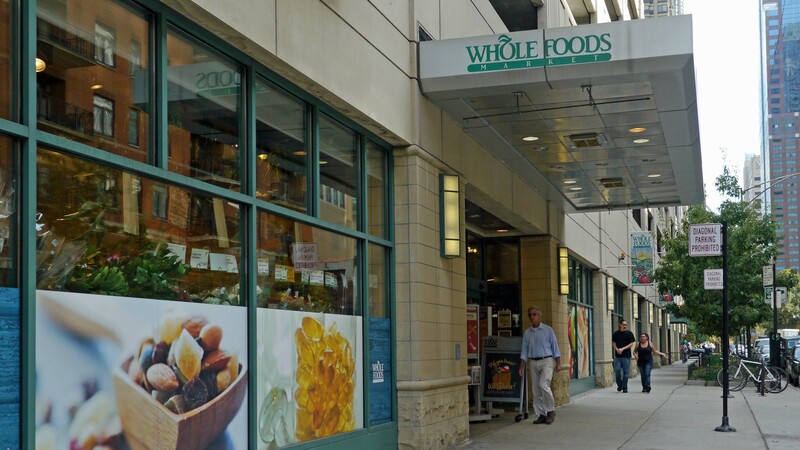 west77 is a block from what Whole Foods bills as its “Gold Coast store” despite its River North location. Walmart Express, which has a pharmacy, is a few blocks north and west on Chicago Ave. Jewel-Osco and Trader Joe’s are also within a few blocks of west77. A number of convenience stores are nearby, as are Walgreens and CVS pharmacies. 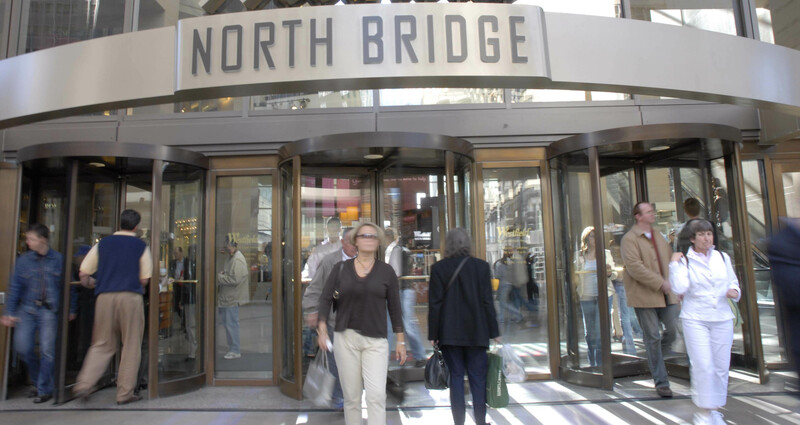 Michigan Avenue’s Magnificent Mile shops and The Shops at North Bridge, anchored by Nordstrom, are four short blocks east. 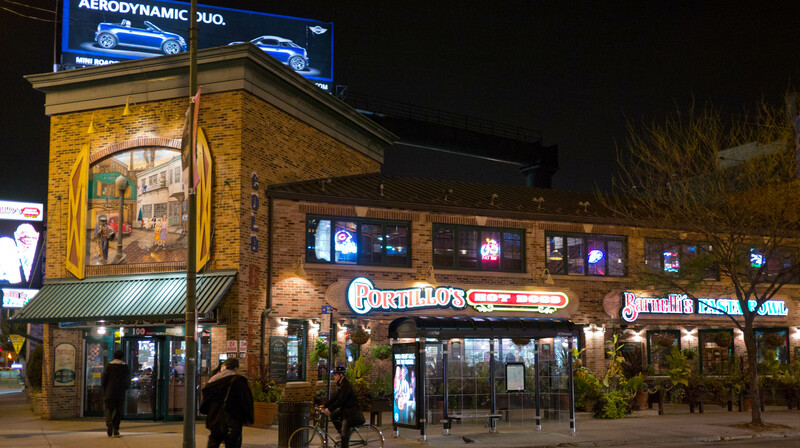 Oak Street boutiques are a few blocks to the north. 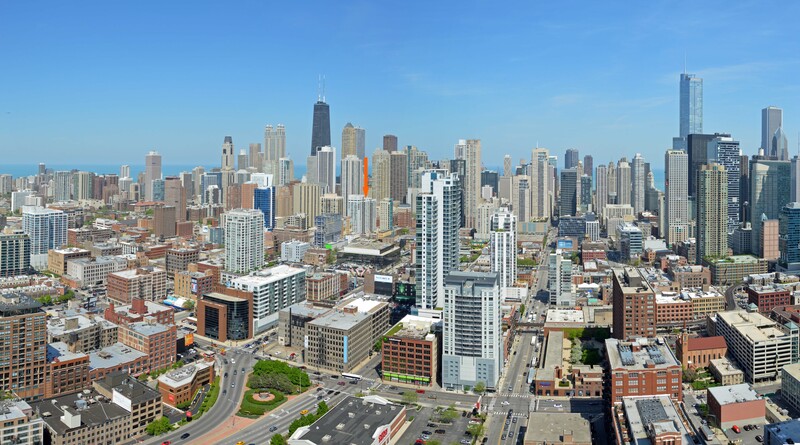 Big-box retail stores abound in the Clybourn Corridor, a mile northwest and a new Target is just over a half-mile north. 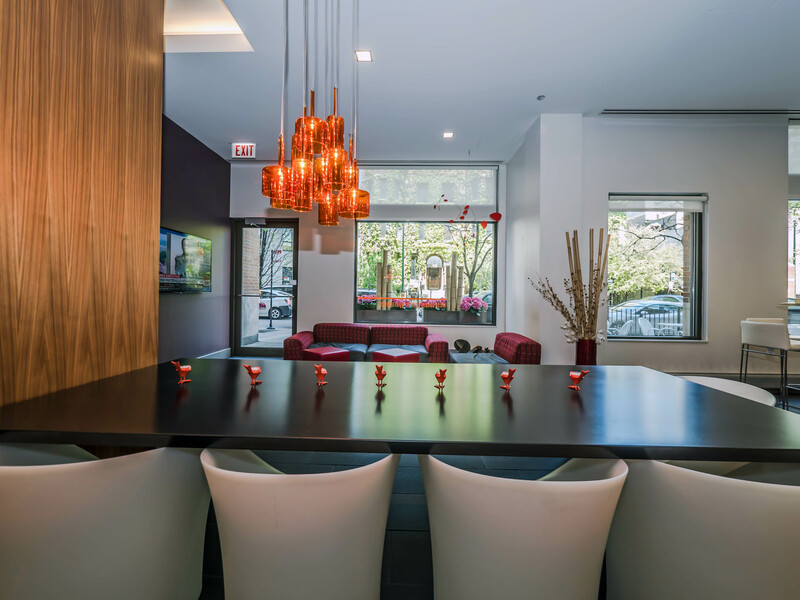 west77 is on the cusp of the River North Gallery District, which has been shrinking in recent years but remains a scene worth visiting. 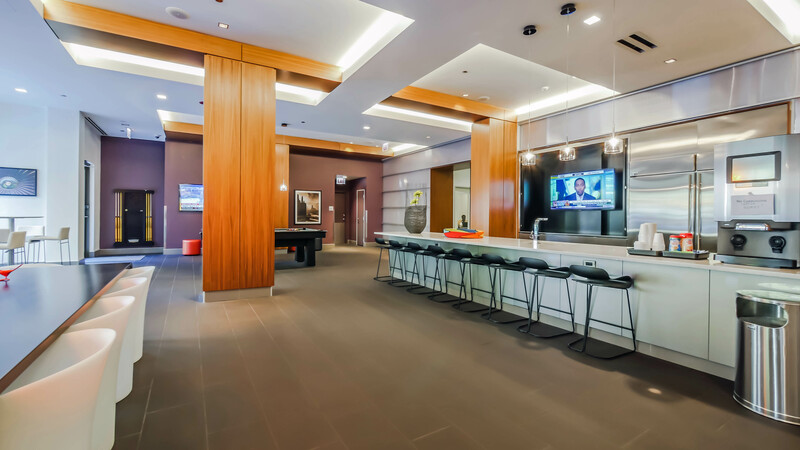 Dining, nightlife west77 residents are surrounded by a dense array of dining and nightlife options to the east in Streeterville, to the north in the Gold Coast and in every direction in River North. 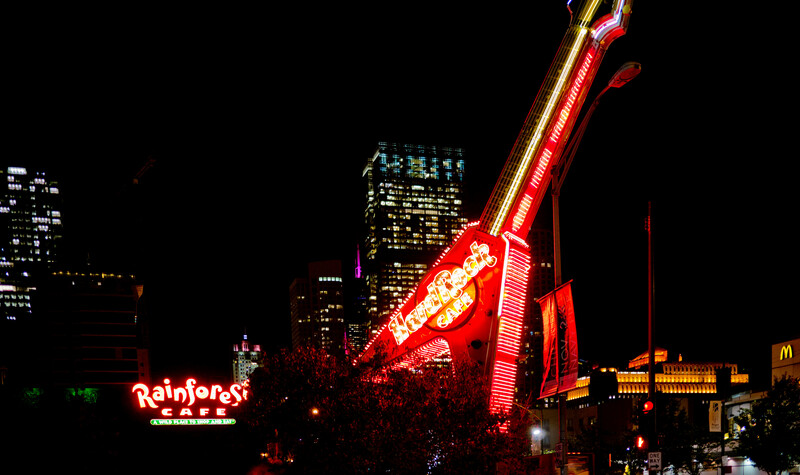 Residents who look south in the evening will see the bright lights and touristy atmosphere at the heart of River North. 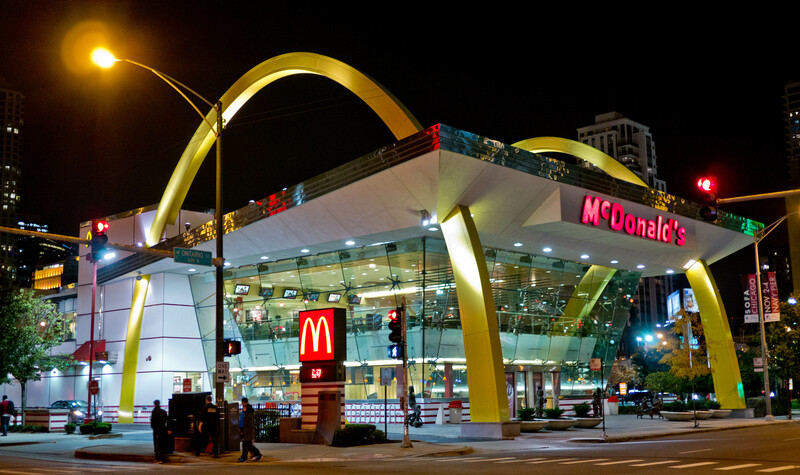 There are, to be sure, many more neighborhood options. 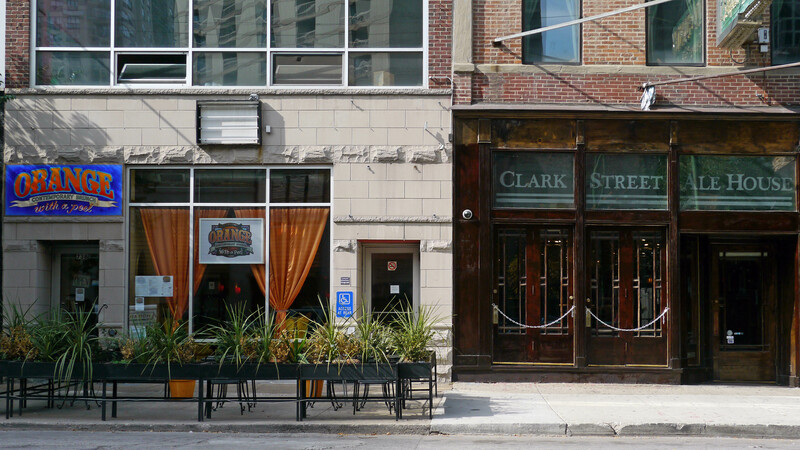 Zed 451, 25 Degrees, the Clark Street Ale House and Woodhave Bar + Kitchen are a block north on Clark St. 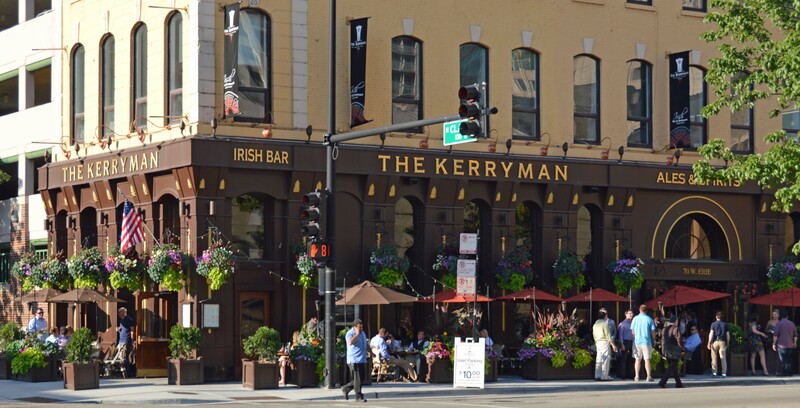 The Kerryman and Stout are a block south of west77. Parks, recreation. 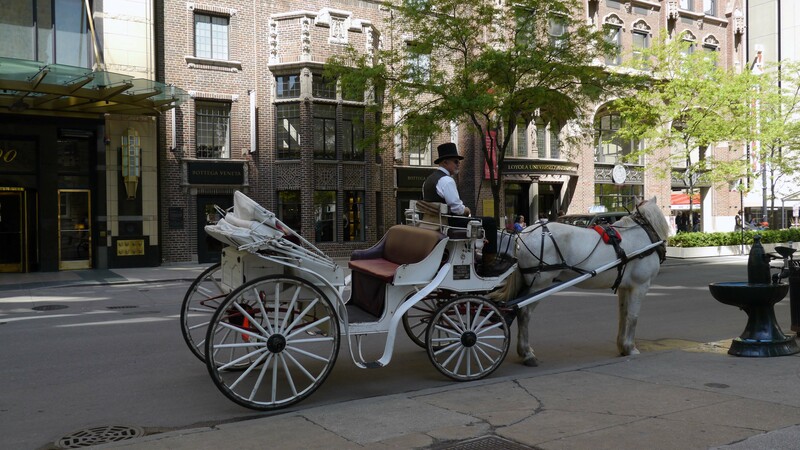 Park space is in short supply in River North. 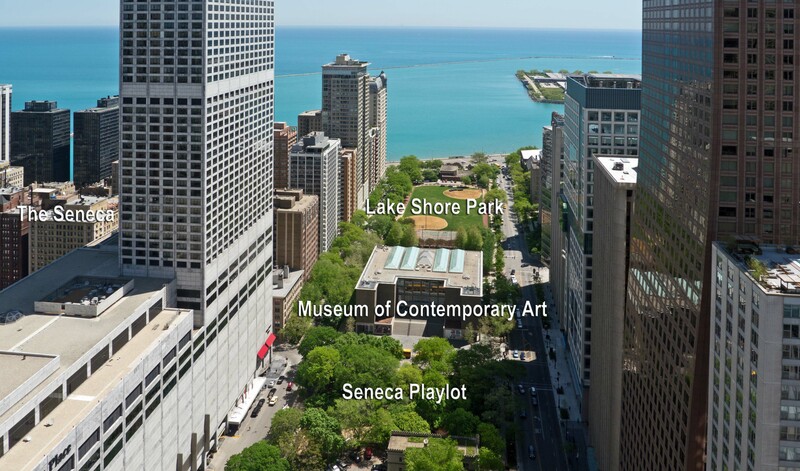 Lake Shore Park and Oak Street Beach are a half-dozen blocks from River West. Transportation. 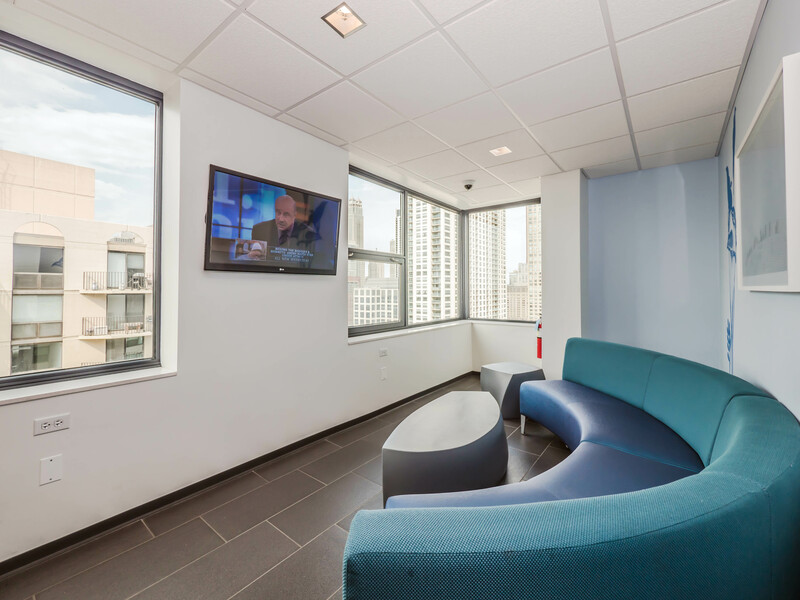 Residents of west77 have good access to public transportation. 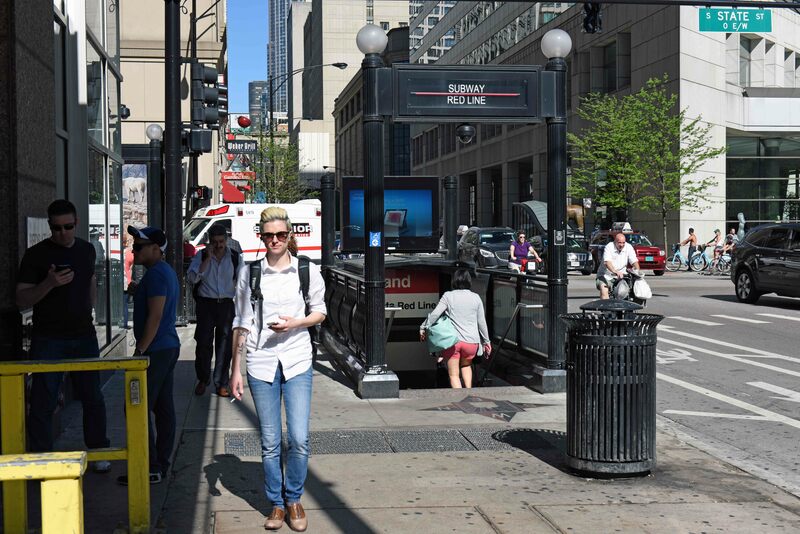 The CTA Red Line stop at Chicago Ave is a 6-minute walk northeast of west77. 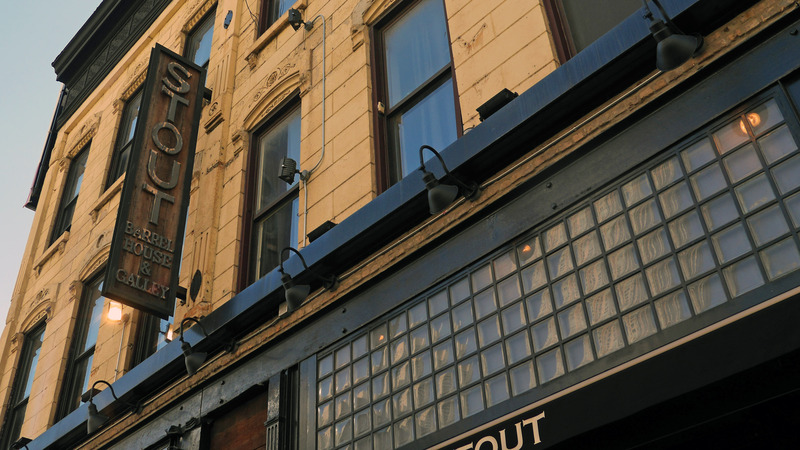 The Grand Ave is a 6-minute walk southeast. 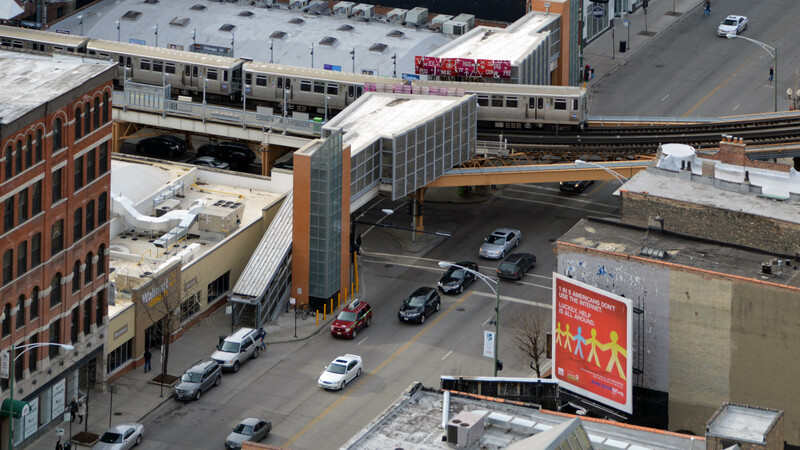 The Chicago Ave stop on the Brown and Purple Lines is an 8-minute walk northwest. 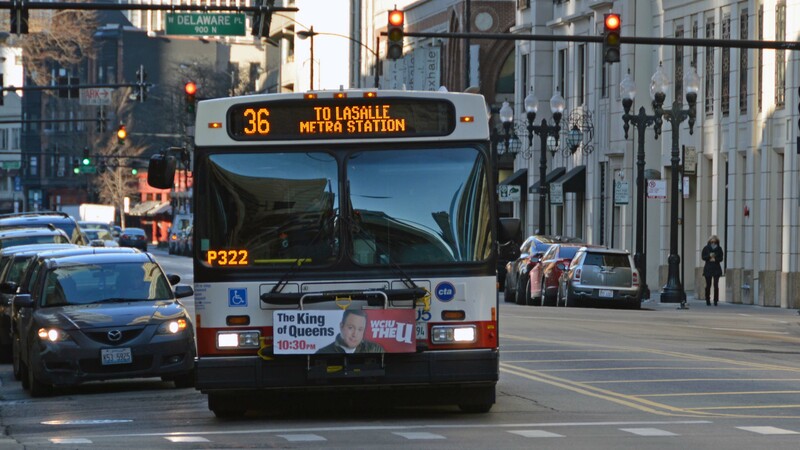 A variety of CTA bus routes traverse State St, LaSalle St and Chicago Ave within a few blocks of west77. The location has easy access to I-90/94 and the city’s expressway grid via the Ontario St / Ohio St on / off ramps. A Zipcar car sharing locations are nearby. Taxi service is available 24/7. 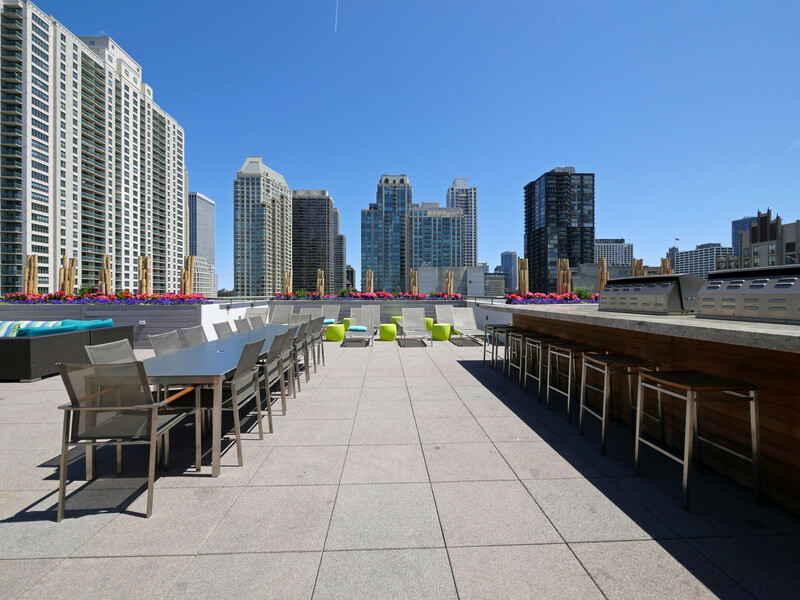 Rentals are typically available in a number of nearby condo buildings, sometimes at lower rents than in the managed apartment buildings, but typically with fewer amenities. If you’ve lived at or visited west77, and are not a real estate agent, add your thoughts in a comment. Comments are moderated, and commercial messages are not allowed.